Christmas is coming closer - too fast in some ways. Who needs chocolate santas in October? Commerce is in the foreground of these changes compared to the Christmas of my childhood. However it is the calm time, the time of family and friends. As long as one keeps that in mind it is again going to be a wonderful time. 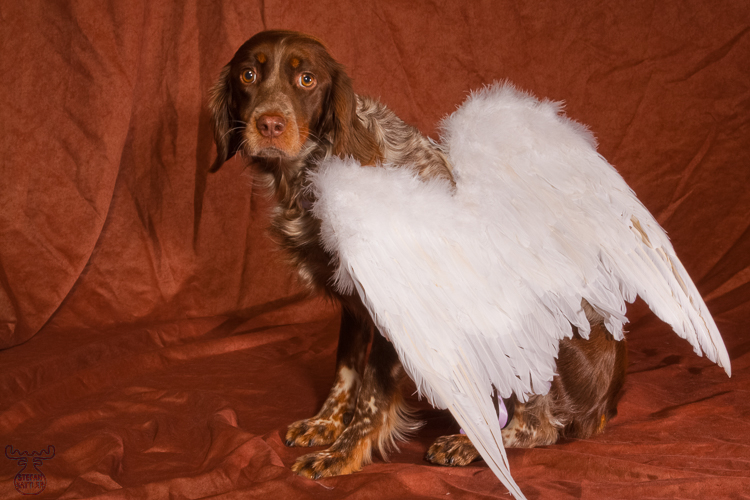 I am not quite sure, if our Breton Spaniel Lola believed in the spirit of Christmas when we performed this shooting. One might not consider here being happy when looking into her eyes.